Spinal stenosis and osteoporosis may be related diagnoses, since porous and soft bones are far more subject to weakness and injury which can cause or contribute to spinal canal narrowing. Osteoporosis is a condition mostly found in elderly women, but can also affect men or people of almost any age in less common circumstances. While osteoporosis itself is not painful, it is certainly a major health crisis, since brittle and porous bones can fracture and shift easily, enacting a great number of possible results in the spinal column and possibly creating the ideal scenario for spinal stenosis pain to begin. This dialog examines how bone density problems can be a contributing factor to spinal stenosis. Osteoporosis is a bone density deficiency in which the vertebrae become soft, full of air spaces and generally weak and brittle. Osteoporosis can be caused by many different factors, including genetic predisposition, gender, age, dietary consumption and level of fitness. Osteoporosis is a silent killer, since the condition does not hurt, but slowly degenerates the skeletal system until all that is left is a brittle network of porous bones which can crack literally from a trauma as mild as a step or a sneeze. This is a frightening reality for the worst affected patients. Osteoporosis can be diagnosed easily, as can its related and precursor conditions, osteopenia and osteomalacia. 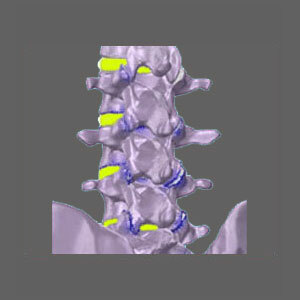 Learn more about spinal stenosis from fractured vertebrae. Osteoporosis is a direct cause of compression fractures and arthritic escalation in the spine. Both of these factors can cause bone spurs and debris to exist in the central spinal canal or within the foraminal spaces. 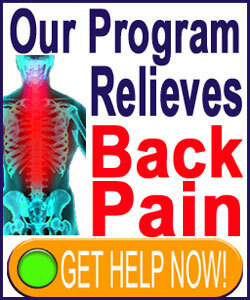 Osteoporosis can also cause large sections of the spine to become unstable and possibly collapse completely. This will certainly be a surgical emergency and might even result in paralysis or death in extreme cases. Porous bones have less resistance to the degenerative processes which cause and contribute to stenosis throughout the spine. The incidence of central spinal stenosis in patients diagnosed with bone density issues is high and increases as the patient ages. Treating osteoporosis is certainly possible, but preventing it is far easier in most patients. A healthy lifestyle consisting of a proper and well balanced diet, enhanced with regular exercise and skeletal loading regimens, will do wonders to prevent bone density issues from ever occurring. Of course, genetic predispositions may make this an uphill battle, but rarely an impossibility for prevention. Remember that bone density problems can also be caused by certain health issues and drug side effects. If you have been diagnosed with a bone density deficit, be sure to seek appropriate care before the condition becomes a real problem in your life. An ounce of prevention is worth ten pounds of cure when it comes to osteoporosis.